...I just had to run with it! Actually, "Walton's Mountain" would be a hilariously appropriate name for a player's encampment. Maybe someone on your team can set up a moonshine still in his or her house. Y'know, in honor of the Baldwin Sisters and their "recipe". 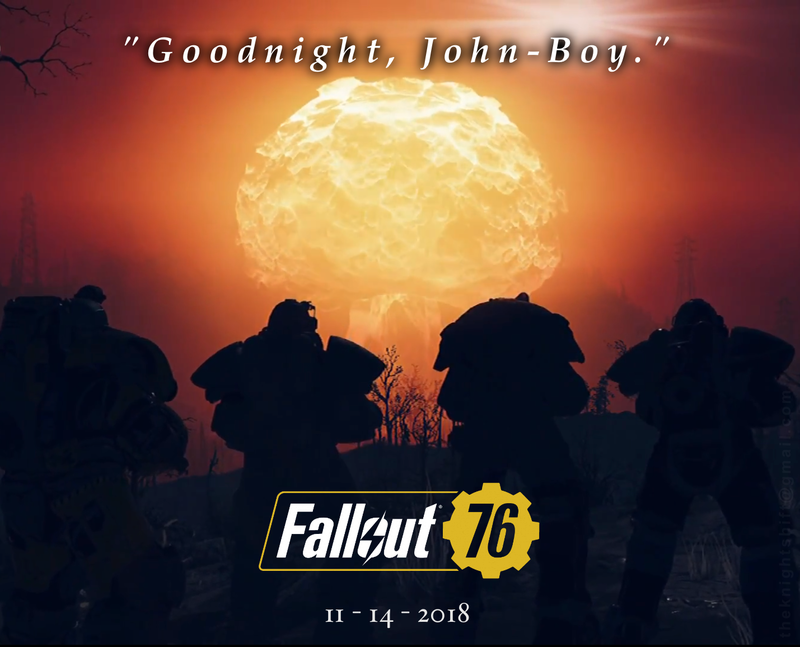 Fallout 76 streets on November 14.